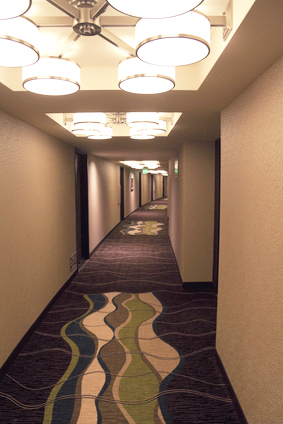 AllPro Painting has over 35 years of commercial maintenance and renovation experience for hotel services in Henderson and the Las Vegas Valley. We specialize in interior and exterior renovation services in hotel rooms, lobbies, hallways, ballrooms, and conference room areas. Some of interior services include maintenance painting, hallway, lobby and common area renovations, drywall repairs, acoustical ceiling coating and replacement, electric and textured wall finishes. We also have skilled commercial painters to handle your exterior painting needs whether its painting your exterior hotel walls, coating parking garages, providing drywall repairs, epoxy painting your swimming pools or renovating your hotel’s common areas. In the hotel industry, looks and cleanliness are everything. Guests make the decision to stay in your hotel or another in a matter of seconds. 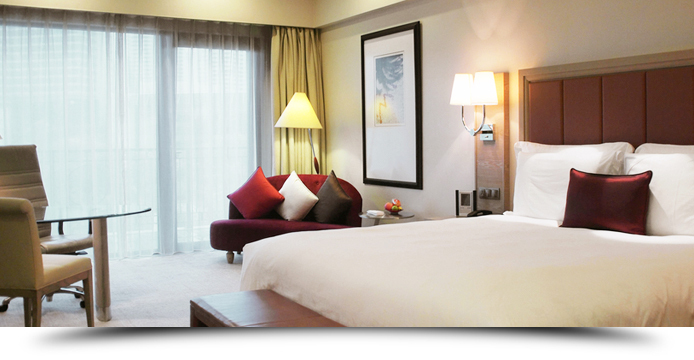 They value your hotel property and how much they are willing to pay to stay at your hotel is based on its appearance. AllPro Painting knows how to give you the look inside and out to cater to the tastes of all your clients. What sets AllPro apart from our painting competition? It’s our ability work in “stealth mode” so that the guests don’t see us as a distraction during their stay. We keep the painting areas clean and will work during quiet hours to insure that guests are not disturbed. We can paint hallways, business centers, lobbies, restaurants, conference rooms, or even the exterior of your hotel during off hours. Additionally, we can use our low odor, green paint so that guests are not distracted by the smell of fresh paint (VOC’s) while they are in their rooms or the hotel lobby. AllPro’s manpower allows us to complete jobs around your schedule. Our team can prepare and finish a banquet or grand ballroom to be ready in time for your next reception. Our crews also have experience painting your industrial sized kitchens and restaurants to make it feel like they’re brand new. We can make those day-to-day marks and scratches disappear. Make your hotel into a must-stay destination where quality and cleanliness can be rejuvenated to create the look just like it did during your grand opening. After the project is over, count on AllPro Painters to keep your property looking great with regular touch-up visits. Our forever-fresh painted service offers maintenance service plans to make quick repairs and to keep things looking fresh.